I want to thank everyone that helped make our event, "Power, Paranoia and Palace Intrique: Howard Hughes in Las Vegas" at the State Museum last Tuesday such a success. The book signing, coordinated by Stephens Press, was a rousing success. The Staff and Volunteers of the Nevada State Museum provided an excellent venue, refreshments and support. The Friends of Classic Las Vegas helped to co-sponsor the event. Though Robert Maheu was ill and unable to attend we send him our best wishes for a speedy recovery. The other panelists, Mr. Paul Winn, Mrs. Peg Crockett, Mr. Gordon Margulis and the author, Geofff Schumacher shared their memories and their stories of Mr. Hughes. It was a wonderful evening and the panelists held the audience entranced as they each described the Howard Hughes they had encountered over the years. A special thanks to all who attended and helped make this a very memorable evening for all involved. On the eve of Thanksgiving 1966, Howard Hughes came to Las Vegas via train. He was then escorted via ambulance to the Desert Inn Hotel. He checked into the penthouse. He was only expected to stay about a month and be gone before the high rollers returned for the New Years celebration. Well, Hughes ended up staying in Las Vegas longer than a month. Rather than move from the Desert Inn when Moe Dalitz insisted that he needed the Penthouse for his customers, Hughes bought the hotel and stayed ensconsed in the Penthouse until he left Las Vegas two years later. He went on a buying spree and bought the Silver Slipper, the Frontier, the Castaways, the Landmark and the Sands. He was attempting to buy the Stardust when the federal government stepped in and stopped the sale due to anti-trust and monopoly concerns. Was Hughes sent by the government to rid the town of mob ownership of casinos or was he just an eccentric billionaire who was always intriqued by this oasis in the desert? 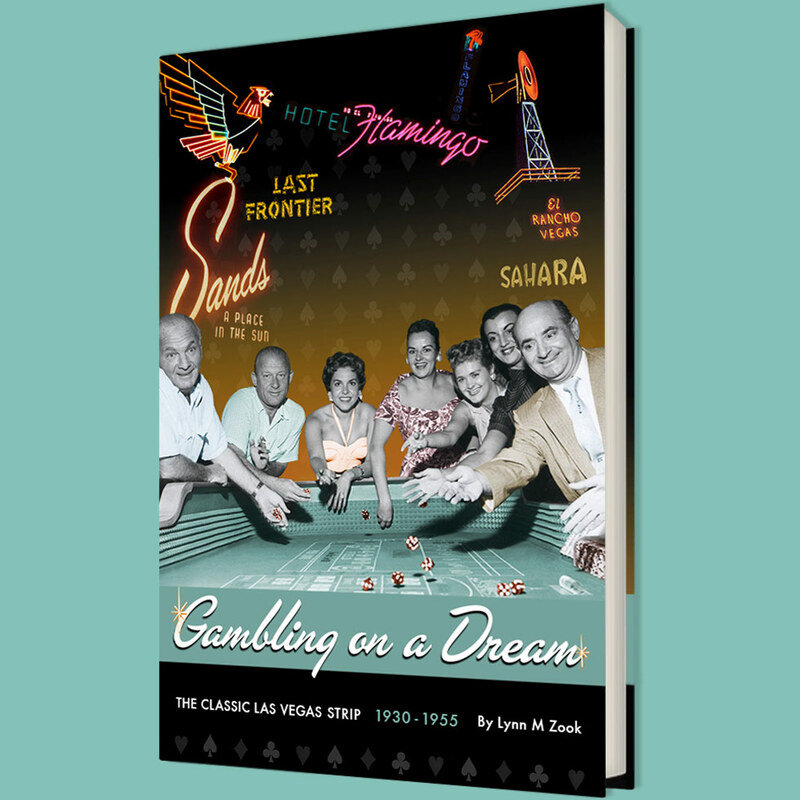 Author Geoff Schumacher's new book explores the facts and the fiction behind Hughes and his love affair with Las Vegas. A book signing for this eagerly anticipated tome will begin at 5:30 pm. You won't want to miss this exciting evening of history! October Events! Scroll Down as we have many events this month that you won't want to miss! Peg Crockett and her husband George started Alamo Airways in the early 1940s which was located near where McCarren Airport is today. Marie McMillan, former Test Site worker and widow of Civil Rights Activist, Dr. James McMillan, is the fastest woman alive. She has the most aviation speed records and has logged thousands and thousands of miles in the sky. Billy Bates was a young woman living in Boulder City when she became the General Manager for the Boulder City Airport. Come hear the stories and learn about this underappreciated part of the Las Vegas history. Reception is at 1:00 pm. Discussion is at 2:00 pm. This event made possible, in part, by the support of the Greater Las Vegas Association of Realtors and Pinto Aviation! Join the man of a 1,000 voices, Bill Acosta and the legendary Pete Barbutti along with some very special guests as they talk about playing Vegas from the 1950s to today. Find out how things have changed and why they loved playing Vegas back in the day! Dr. Lonnie opens up his home to celebrate Nevada Day and offers tours of his home and his massive collection of Nevada History. Friends of Classic Las Vegas will have a room where you can come and learn more about the group. Collector Carey Burke will have some of his epherma collection on display, Allen Sandquist will have some of his postcard collection on display and we will be there to answer any questions and hand out brochures on how you can become a Friend of Classic Las Vegas. We will also being have an hourly raffle of unique baskets of Las Vegas history as well as face painting and other fun activities so be sure to join us at Dr. Lonnie's on Oct. 28th.